When he helps his friend Jake Brenner, a tabloid writer on the hunt for a big supernatural story, Des Fairweather is swept up in a world of mystery and intrigue. Despite his skepticism of the validity of the stories Jake is seeking, Des reluctantly accompanies Jake on his latest adventure—all with the promise that Jake can help Des secure an audition with the city symphony, a break Des desperately needs. When Jake’s search takes the two out to the country to investigate an unusual phenomenon at the Snowden estate, Des encounters a startlingly beautiful young woman who claims to be magical. That young woman is Kalida, a mysterious creature who has escaped from the people of the Caverns and renounced their evil ways. But when Kalida is discovered, her people will stop at no end to get her to return to their world. Will Des be able to cast aside his fears in order to save Kalida….before it’s too late? 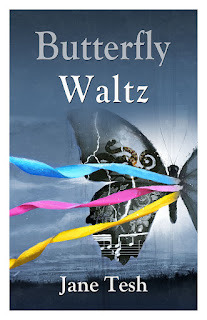 A mesmerizing tale that blends music, mystery and magic, Butterfly Waltz charms with its enchanting storyline and compelling characters. Resplendent with adventure, intrigue, and the allure of the supernatural, Butterfly Waltz is delightful. The music was clearer. It had been the faintest whisper, the tune barely discernible. The theme grew familiar, a soft, beckoning tune, a waltz of lilting melancholy. Kalida woke, smiling. Traces of the dream music hung about the dark room, brightly colored ribbons of sound. For several moments, she savored the melody, but her smile faded with the music. She would have to decide soon. 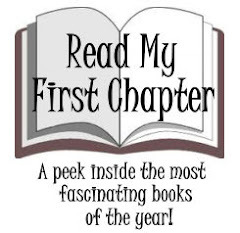 She folded back the rose-colored sheets, removed her bedclothes, and slipped into her gown. Her long black hair glittered as she ran her comb down its length. Faint sunlight picked its way delicately through the forest and bathed the small room in pearly light. Another beautiful day waited outside. Kalida took an apple from the blue glass bowl on her small table and sat down on the little bench outside the doorway of her home. She gazed at the silent wood. Small birds flickered from tree to tree. 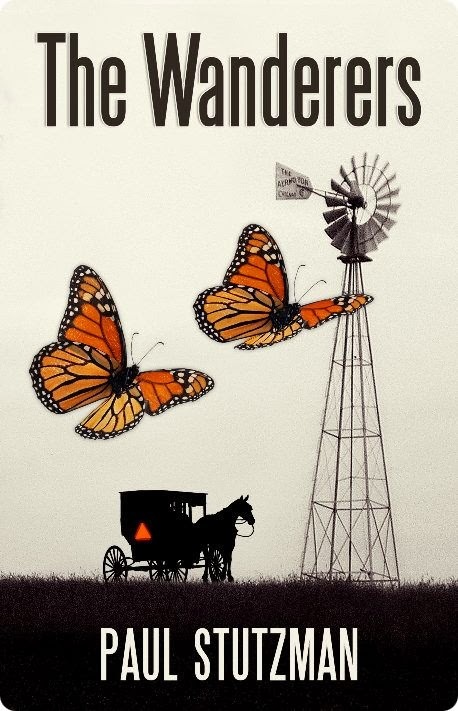 A few butterflies danced above the wildflowers that grew in the grove. Bright colors, sunshine, butterflies—these things were alien to her nature, but she had grown to love them. Alone with time to think, she had decided her people, the people of the Caverns, had been wrong about so many things it was impossible to count them. The Caverns. To think of them was to be back within the dark hallways of cold stone, the only sound the rustling of her gown on the smooth floor, while all around, silver eyes and ruby eyes cast secretive glances full of malice as they studied the rules, the dark etiquette that bound all to the Legion. Conquer and destroy. That was the only way. How many worlds had she seen blown to ashes, how many beings had she heard crying out in despair? She had been part of the destruction. She had flown with her people, but always reluctantly, as if there were something else just beyond her reach, something different. She could trace her discontent to the Leader’s celebration, the night she first heard music. As a small child, she had watched in awe as the veterans of the Legion received honors at victory celebrations. The leader she first remembered was a dark-eyed man as rough and sharp as a stalactite, who called the young ones up for a better look. With their transforming skill, members of the Legion re-enacted the battle. Young Kalida, thrilled by the sights and sounds, longed to be a part of it all. Everyone clapped until sparks flew from their hands. But one celebration night had been different. The Lady was the title of their Leader, a harsh, demanding woman who rarely held celebrations. Kalida followed the others to the Hall. The Andrean man stood in the center. He didn’t seem worried or afraid. He wore tattered clothes and boots. An odd-looking instrument was slung over his back. “But isn’t he an enemy?” the child asked. Kalida listened, fascinated, as the melody pierced the darkness of the Hall. The members of the Legion groaned and cursed at the sound. Her companion gave her a curious glance, so she winced, as if the sound hurt her ears as well, but it didn’t. It intrigued her. It made pictures in her mind of things she had never imagined. She wanted to hear more. But there was no more music from the Andrean man. After the celebration, he was taken away. She never saw him again, which made her moody, not an unusual emotion among the Cavern-born, so no one suspected she had changed. Over the years, she saw Leaders come and go, but never wanted to be one. Her acquaintances were puzzled by her lack of ambition, but Kalida hid her growing unease. She could not forget the alien man or his song. Quite unexpectedly, she found a way out. In one wild moment of rebellion, she fled the Caverns to Andrea, hoping to find the man. She flew to the woods near Traditional City, planning to take animal form to avoid detection. In the woods, she fell through a blaze of light, fell to this world. That first morning, when the golden sun touched the lush green grass, she couldn’t keep her eyes off the color. What was it? Light she knew, and shadow, but this deep rich hue that colored the grass and the moss and the leaves intrigued her. She knew red and black and white, silver and gray, colors of the Caverns. Yellow and gold were rare, but she had golden eyes, or so everyone said. This alien shade, though, calm and deeply satisfying, she had seen only once, on the tattered clothing of the man who played music so many years before. She could sit in the grass for hours, reveling in new colors, even the rich browns of the earth and trees. Everything spoke of life and growth and energy. Exploring beyond the new forest, she discovered a large white house and watched the people who lived there. She learned the names of colors from Mister Snowden as he taught his children in the garden. She learned that the world was called Earth, and there was no magic here. For a while, she didn’t need magic, just sunlight and birdsong and new colors. Then disturbing dreams began, dreams of night flying, her hair streaming behind in the cold wind as she swooped down on cities like a bird of prey, touching the tallest towers and watching them burst into flame. She would wake, trembling with fear and desire. She thought her people would be unable to track her to this world, yet she saw misshapen shadows in the trees and heard harsh sounds haunting the night. Had her people found her? She thought of the bottle in the back of her cabinet and a shiver went through her. No, don’t back down now, she told herself. But how much longer can you live like this, lonely, friendless, purposeless? She shivered again. She knew exactly how much longer. She couldn’t eat. She spent the day sitting in the doorway. Light shone through the little bottles of potions on the window ledge: pale lavender, rich violet, amber, blue, and red. The day itself was green and gold, so unlike the days of her childhood, which had been filled with fierce red light and the cold dark silence of the Caverns. I am not like that now, she thought, as the sunlight faded and the colors died. Night was the time she liked best, but this night, the darkness closed in around her. Do I really want to do this? Why put it off? Drink the potion and be done with it. The music was a dream, nothing more. Drink the potion. Who knows what other worlds lie beyond death? A grand piano dominated Des’s sparsely furnished apartment room. Jake perched on the piano bench, slicked back his hair, and gave the impression of settling in for the day. His neon green shirt and pink tie created a jarring combination that made Des’s eyes ache as he glared at his friend. His last student, Melissa, a giggly seventeen-year-old, had just left, after a thorough and determined massacre of her Scarlatti lesson, and he was still waiting for his head to clear. With an impatient gesture, he pushed his dark hair out of his eyes. “The owner happens to be a beautiful young lady,” Jake said in his most wheedling tone. Jake kept his grin. He twiddled a few piano keys and fiddled with the metronome. “Talked to Sylvia yesterday. She says she’ll recommend you for that symphony thing.” He glanced up, eyes crinkling with amusement. Des made a lunge, but Jake eluded him, laughing, and was out the door and gone. Muttering under his breath about unwanted guests, Des bent to pick up more papers and caught sight of his reflection in the one small window. Soulful green eyes, indeed. Did Jake think he’d fall for that line? Yes, his eyes were green, his hair dark and unruly, and his expression serious, just like his father’s, in fact, so much like his father’s he was afraid he might meet the same tragic fate. Now there was a story Jake could appreciate, a story full of magic. What if—no, he dared not try. He had made his decision. He had given up the family home and the family fortune, so he had given up the family curse, as well. He prayed he had. Wouldn’t a little magic make things easier, though? A better place to live, a better job, even that symphony position? He shuddered and tried to suppress the memories. Make things easier. Isn’t that what his father wanted? Look what happened to him.